Did you know there’s a beautiful bed and breakfast located right in Downtown Hammond? 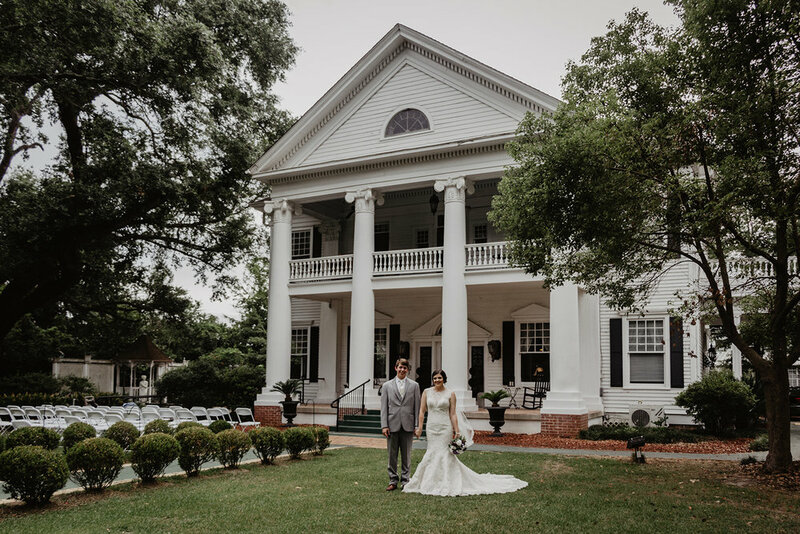 It’s nestled on 3 acres draped by oaks, azaleas, roses and camellias in a quiet residential neighborhood and is none other than the Historic Michabelle Inn. The benefit of Danielle and I working together as a team is that we are able to be in two places at once. Danielle captured Tiffany and her bridesmaids getting ready, and I got to hangout with the guys and photograph them getting ready. We also split up to take the formal wedding party pics which saves a lot of time. The bride and groom even had some time leftover after the first look and before the ceremony to just relax. 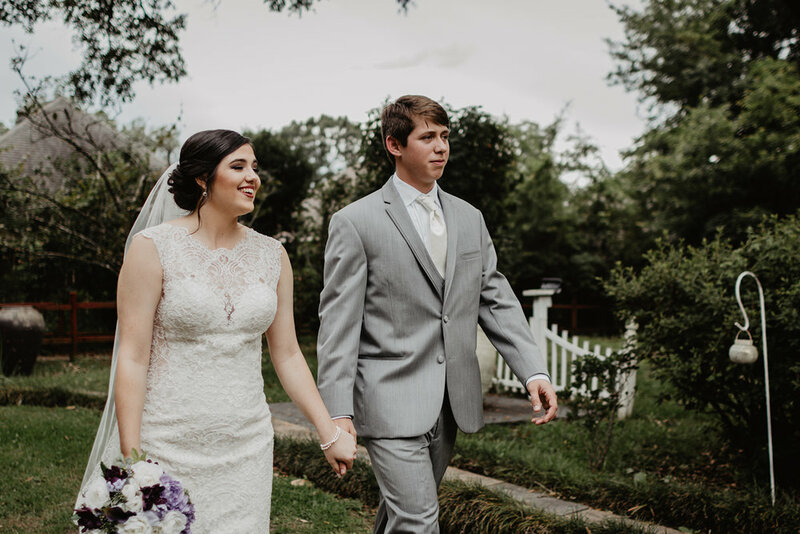 Tiffany and Devan’s ceremony was short and very sweet, and the reception was a blast. It was so awesome to see how many people came to love and support them. At one point there was hardly any room on the dance floor! 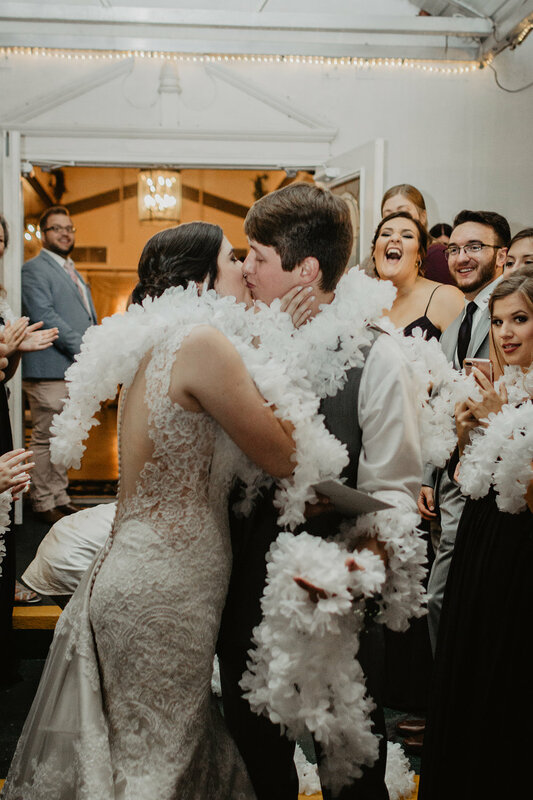 When it came time for the exit, the guests got to throw leis around Tiffany and Devan. This was especially adorable because they were headed off to Hawaii for their honeymoon. This was such a great experience. 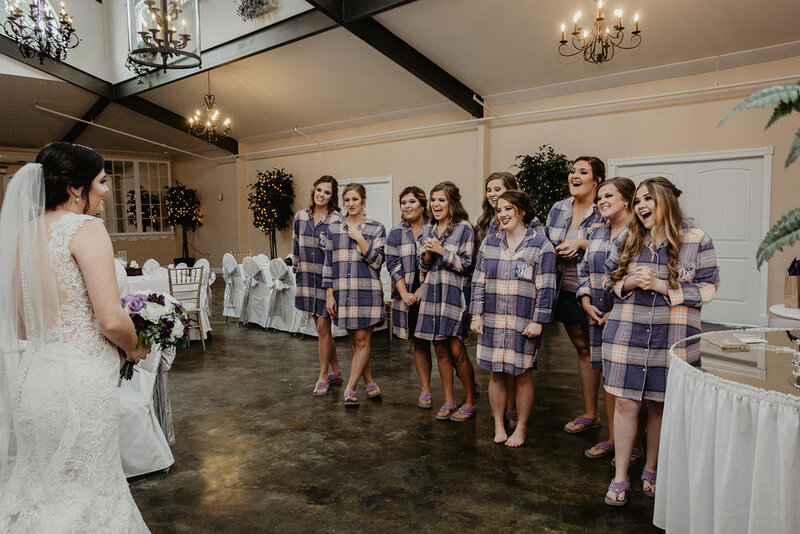 Tiffany, Devan, the wedding party, the parents, the wedding planner, and all the vendors were so nice to work with, and we look forward to the possibility of working with them again in the future.